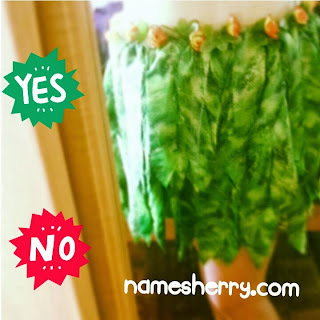 I have got my grass skirt made, what do you think of it? 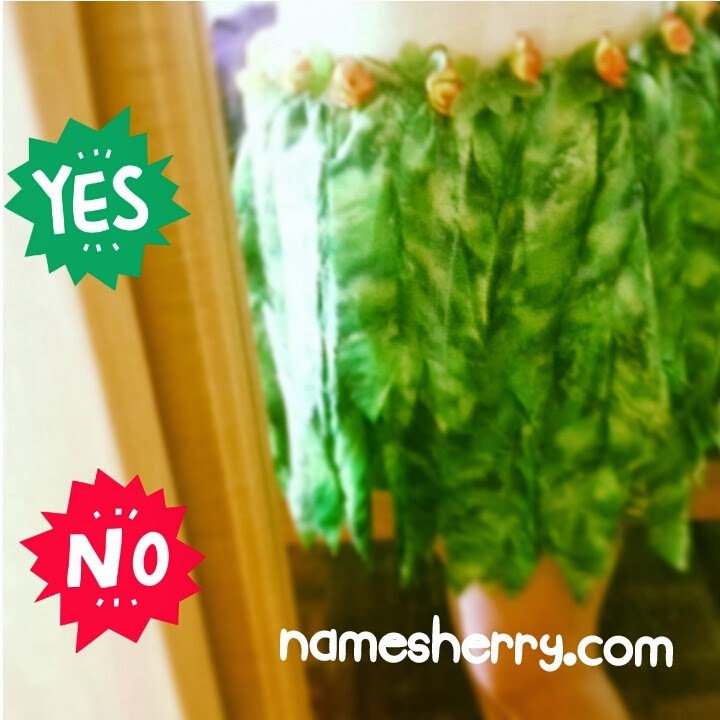 It is not made of grass, it is up to you whether you want it how long the skirt. I just estimate how long I need and cut the material. You can see there is long and short of the material. Oh my, I have a big waist! Are you read for the Butterfly Project with Luau Party? You join that event too?